I’ve always had a love for photos. In our very first apartment, we had over 50 pictures gracing the walls, and that was just in the living room! Although there are fewer pictures up in our current house, I make up for it by oversharing on Instagram and Snapchat. 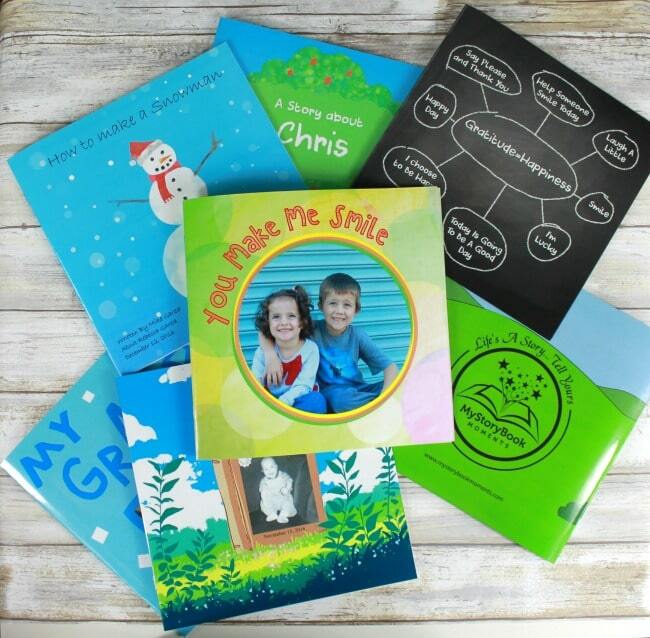 This month, the creators behind My Storybook Moments reached out to me to tell me about the photo books they create and I quickly fell in love. I’m so excited to be partnering with them today to show you what they are all about! 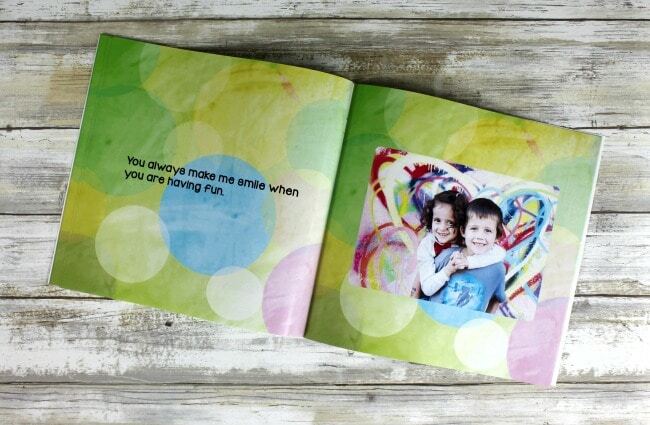 First of all, My Storybook Moments allows you to create storybooks with (or for) your kids. They are guided stories, so you don’t have to come up with all the text yourself, just fill in the blanks and add pictures. 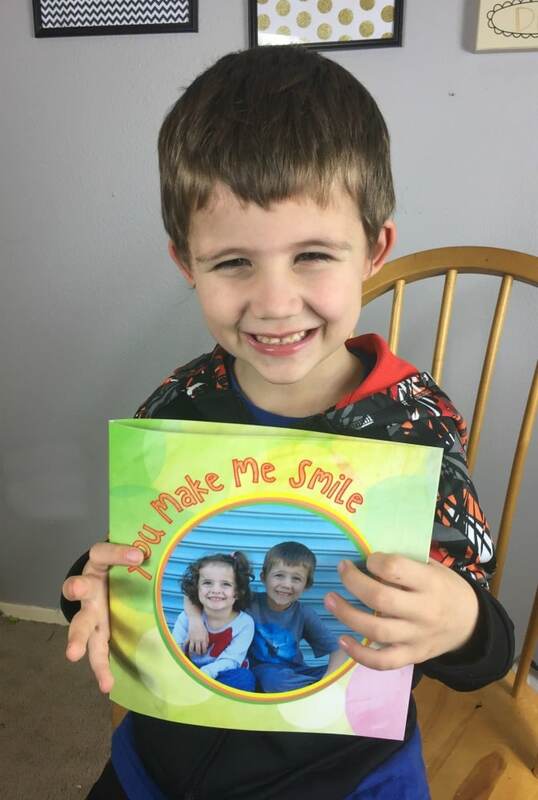 I made my first book in under 20 minutes and we LOVE how it turned out. Since I was making it for my kids I chose the “you make me smile” theme. I thought this would be a perfect reminder for them of all the little things they do that I love. Even the silly or seemingly insignificant. Each page already had text written on it (see above) and I got to fill in the blanks with the specifics. So on the page above the words went until “when you are” and then I got to choose “having fun” as the last few words to put in that space. This allowed me to pull photos from my kids favorite things and my favorite things to put in the book. We covered everything from visiting the LEGO store to making silly faces and even visiting our favorite donut shop together, which we do every week. 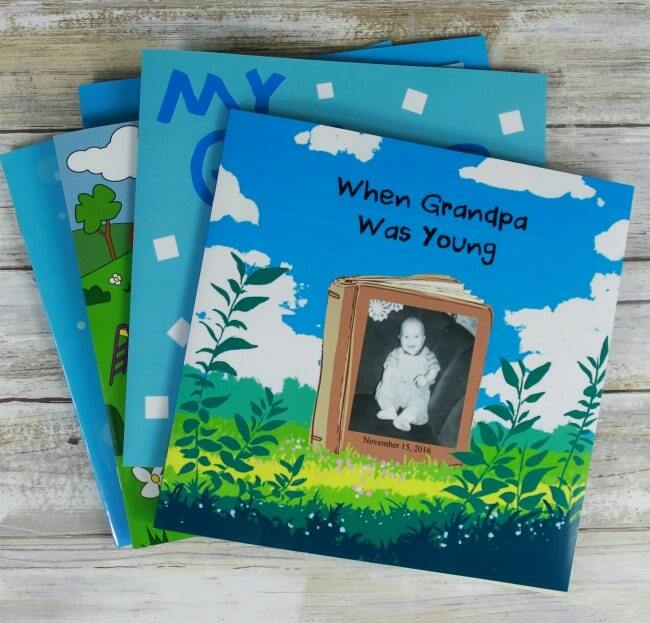 There are books about grandparents where grandma or grandpa can tell their story to the kids in a fun, and exciting way. 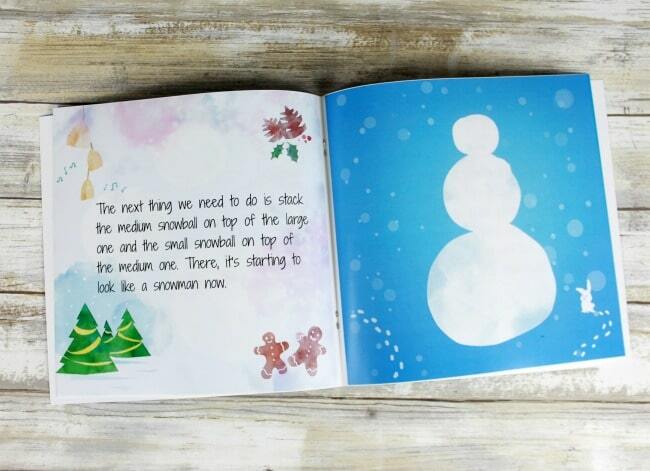 There’s a book about building a snow man together which is adorable for wintertime! 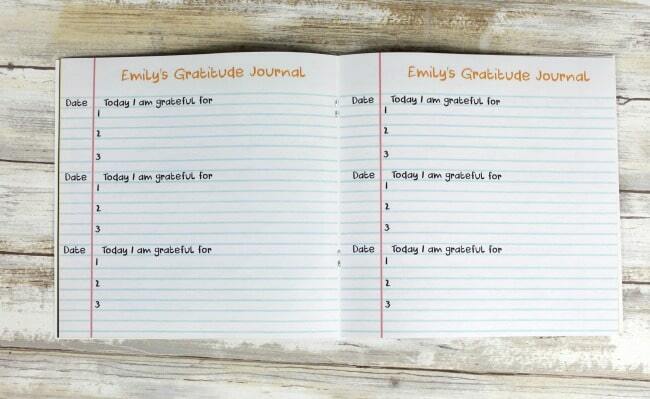 And one of my absolute favorites was the new gratitude journal option. 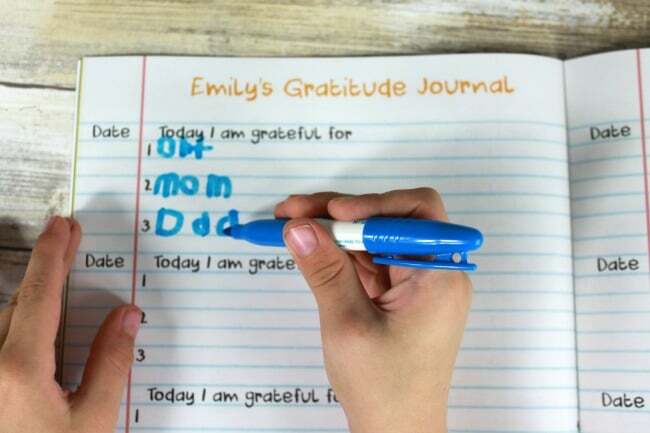 You can teach your kids how to keep a gratitude journal as a way of connecting with them and teaching them to find the good in every day. We had so much fun writing in this together (after the 6 year old figured out what “gratitude” meant). After I was done showing my son how it worked, he trotted off to the living room, completely unprompted by me, to show it to his sister and jot down some answers for her as well (she can’t write yet). It was so cool to watch them share their favorite parts of their days with each other, and I realized it can be a great tool for sibling bonding as well, not just parent/child bonding! He’s still learning to write…but if you squint you might be able to tell in the photo above that he’s grateful for art (his favorite school subject), mom and dad. Since there are so many options to choose from, I can totally see us ordering these for ALL occasions. 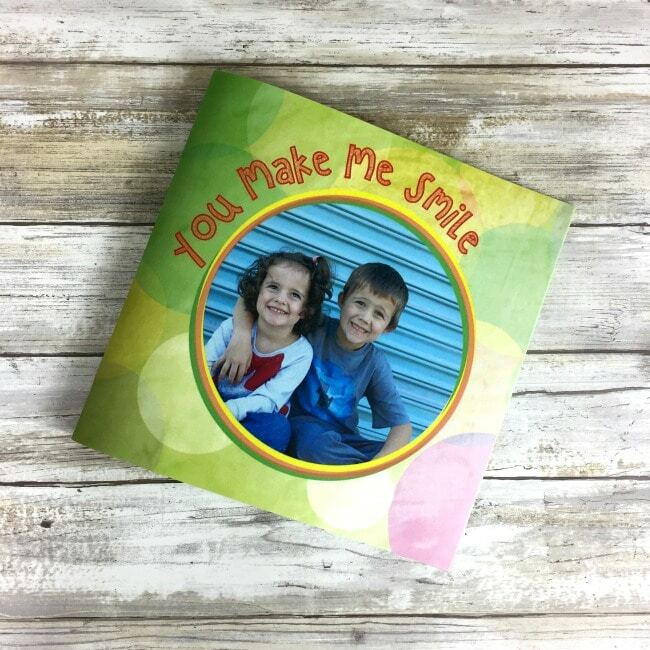 It would be a great gift for a child who is becoming a big sibling, a mother’s day gift for grandma or even just a little present for your kids to show them how much you love them! If you want to make your own… you can get started right here! They are so simple to make and the price is right for this penny pincher at $10 per book, including shipping!!! Which book theme will you work on first with your kids? A best friends one? 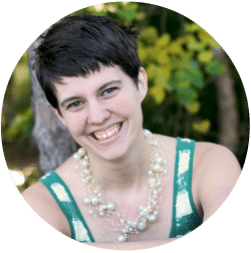 The gratitude journal? Something for grandma and grandpa? Tell me in the comments, I’d love to hear about your books! You can also find My Storybook Moments on social media to keep up with their latest. 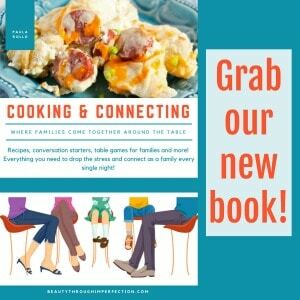 Hey Buddy!, I found this information for you: "Our new favorite storybook". Here is the website link: https://www.beautythroughimperfection.com/storybook-moments/. Thank you.